Coffee Shop Squatters S2! Make It Happen! 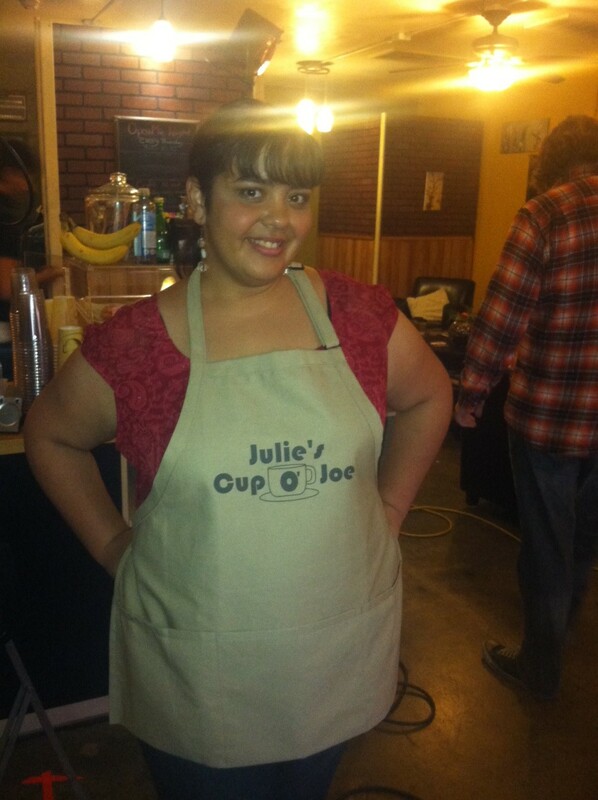 Me on the set of Coffee Shop Squatters, Season 1. Aren’t I the cutest little barista you’ve ever seen?! Hey, it’s my blog (see the name up top? ), so of COURSE I’m gonna make this about me. Except it’s not about me. It’s about them. And by them, I mean Ashleigh Nichols and Eddie Beasley, who are not only two of the coolest people I’ve come to know, but also two of the coolest comedy creators I’ve come to know. Their short film, Summer of the Zombies has done really well on YouTube, and the first season of their web series Coffee Shop Squatters, featuring Laura Spencer (The Lizzie Bennet Diaries) and Brody Stevens (Comedy Central, Chelsea Lately) was a hilarious addition to last year’s web offerings. And if you managed to watch it without blinking, you might have even seen me in it! Well, Coffee Shop Squatters is BACK with a second season and a new coffee shop owner! 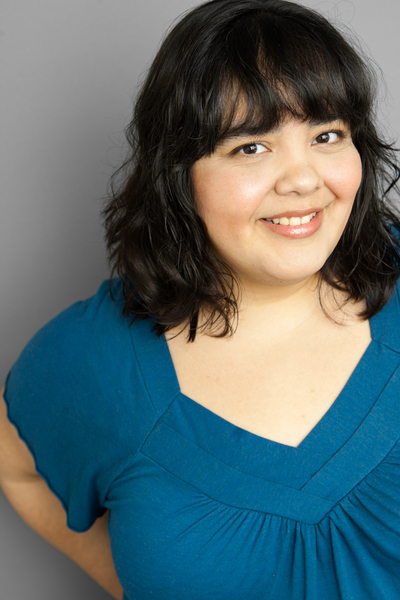 Wait…it’s not gonna be Julie’s Cup o’ Joe anymore?! WHO’S CUP O’ JOE IS IT NOW?! Here’s to another season of Coffee Shop Squatters! Because even slacker writers need a place to call home. Coffee Shop Squatters – THE DRINKING GAME! If you want to watch an awesome webseries that will appeal to the aspiring (slightly crazy) writer in you, check out Coffee Shop Squatters! Ashleigh Nichols and Eddie Beasley have created a cast of characters (played by the funny and talented Chris George, Barak Hardley, Laura Spencer, and Brody Stevens) that manages to be endearing even as you want to slap them in the face. 🙂 Episode 3 premiered today, and it looks like the titular Squatters might not have a place to squat anymore! *gasp* What will happen to Super Pups 8?! Don’t know what the hell I’m talking about? Well, get thee to the Coffee Shop Squatters website and get watching! In honor of Coffee Shop Squatters, I’ve decided to create a totally unauthorized (but nonetheless awesome) DRINKING GAME! Because, well, why the hell not? So, pull up a computer/laptop/mobile device, get yourself your favorite drink(s), watch, and play! A scene from Coffee Shop Squatters, Ep 3. *the rules will evolve as new episodes appear, so keep watching, and keep checking back here! Miley directs Sean, Verton, and Yuri. Photo by me. Well, there are only 11 days left in RETCON’s IndieGoGo campaign. If you’ve been thinking about backing us, now’d be a great time! As you’re thinking about it, why don’t you lookenzee at our new Behind the Scenes video, featuring interviews with Firefly’s SEAN MAHER, Ben 10’s YURI LOWENTHAL, and ME from…um…that PBS thing where I played an FBI agent in an ill-fitting, polyester skirt suit. Anyway, the video’s pretty rad, and the boys are hot. 🙂 Check it out! Logo by the uber-talented Jennifer Lynn (www.jennydoll.com)! If you have been following my goings-on at all (and really, you must have, otherwise why are you here? ), you’ve probably heard about the web series RETCON on which I’m a writer/producer. You can follow the show on Twitter, like our page on Facebook, or sign up for our mailing list at our website! However, today was an important day for the show. Today was the day where we took our first steps toward actually making RETCON a reality. We launched our IndieGoGo campaign! 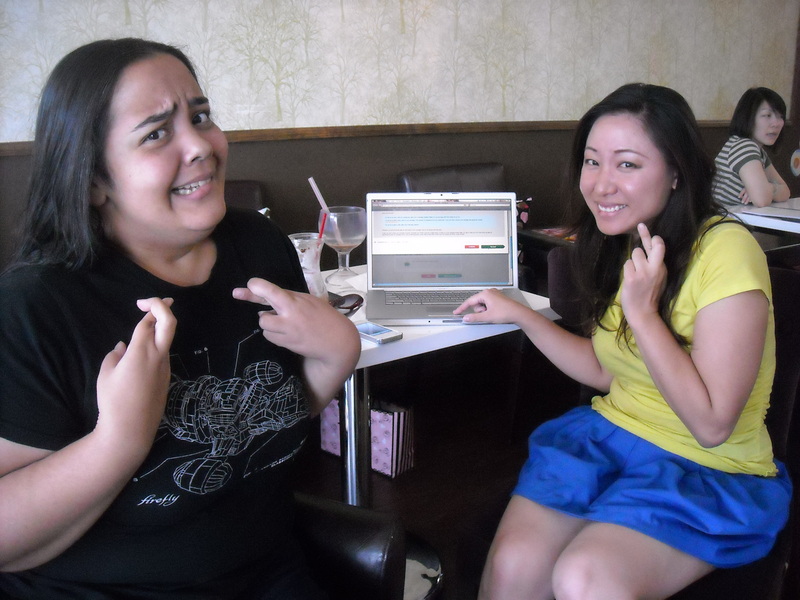 Me and RETCON creator/star Miley Yamamoto as we (so-not-nervously at all!) launch our campaign. 1) SPREAD THE WORD. Send the link to the IndieGoGo campaign to everyone you know! If you’re so inclined, spread the link on our behalf once a day for a week. Just one week. It would be such a help. 2) BACK THE CAMPAIGN. If you like the look of the video (many of the same people involved in producing the video will be involved in producing the show) and want this story to be made, or you just want to support a project I’m working on (ideally, you want both! ), please give within the first week if you can. Obviously, your backing will be helpful any time during our 30-day campaign! But giving during the first week will help us build some much-needed momentum that will encourage others to give, too. I moved out to L.A. a year ago this week (more on that later! Can you believe it’s been a year already?!) to write and make things. With your help in making RETCON successful, I’ll have a chance to do just that! I’m really proud to be a part of this project, and I hope that we can all go on this journey together. Thank you for whatever you can do!